Here is another wonderful and healthy way to enjoy fresh veggies and warm up on a chilly evening. Sure beats canned soup! 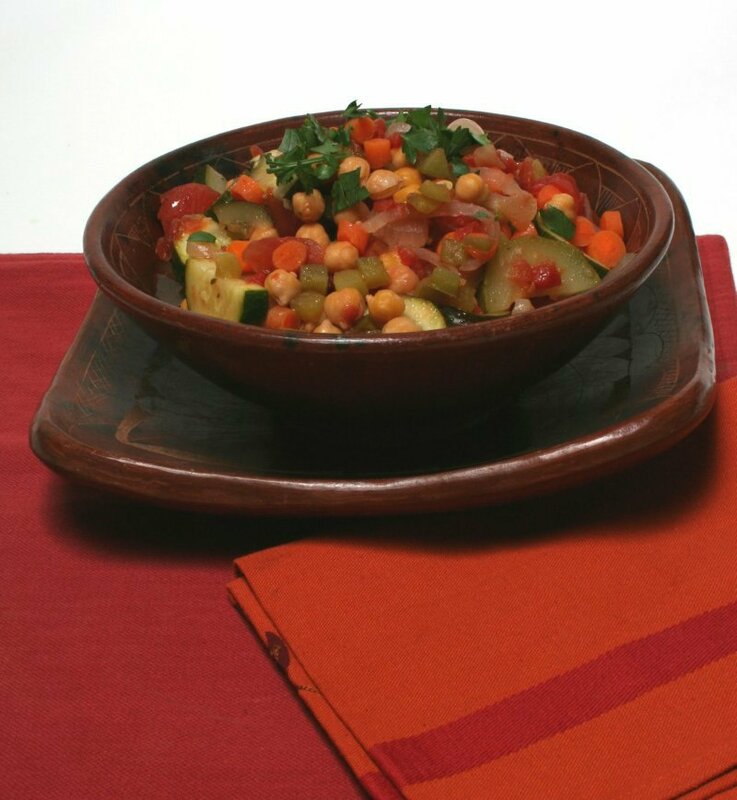 Our friends at the AICR sent us this zesty veggie stew over rice recipe. This stew is chock full of goodness - from the carrots, peppers, zucchini and other great veggies to the service method of serving over rice/ Yum! Try the zesty veggie stew and serve it over rice like this recipe suggests. It's great! Pre-heat oil in large saucepan over high heat. Add onion, carrots and bell pepper. Sauté, stirring frequently, until they soften, about 5 to 6 minutes. Add zucchini, garlic and vegetable broth and continue cooking, stirring frequently for 3 minutes. Stir in drained chickpeas and un-drained diced and stewed tomatoes, sugar, red pepper and salt and ground black pepper to taste. Leave uncovered and bring to a boil, stirring gently. Reduce heat and simmer uncovered for 20 minutes; add 2 more minutes if you desire thicker consistency. Serve over hot brown rice and garnish with parsley, if desired. Per serving: 220 calories, 2g total fat (0 g saturated fat), 42 g carbohydrate, 8 g protein, 8 g dietary fiber, 95 mg sodium.